This high performance Antares barlow # B3S triples the power of any inserted eyepiece. It features a fully-multicoated achromatic design, internal darkening and edge-blackened lenses. 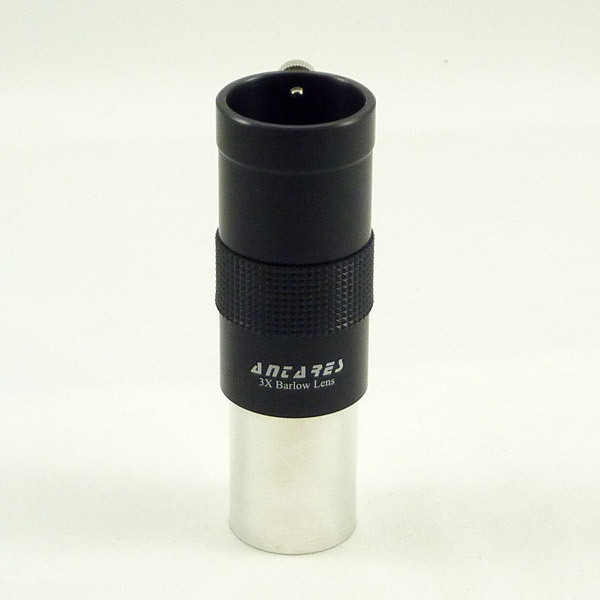 Suitable for high contrast, high power applications in any telescope, although it is best suited to Newtonian/Dobsonian reflector telescopes because of its rather long length. Not threaded to accept standard 1.25" astronomy filters. Made in Canada.